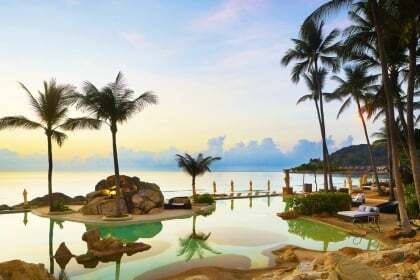 $149 per pax for 4D3N stay at Krabi La Playa Resort + 2-way Transfer + Daily Breakfast + City tour with duck noodle lunch. Min 2 to go. Free Krabi City tour: Visit the Wat Thum Sir”Tiger Cave” Temple, Krabi town : fruit market , Vougue shopping Mall . Marine Fish farm : the collection of all kinds of fishes in the Andaman sea, krabi local products + Free Duck noodle lunch : The most famous duck noodle with herbal soup in Krabi. Stay in the luxurious La Playa Resort as you explore the province of Krabi. A lush region of jungles, limestone cliffs and idyllic isles floating just offshore in the Andaman Sea, Krabi is paradise on earth. Enjoy the delicious local cuisine as you take the Krabi city tour. Swim through the crystal clear water as you tour the famous Krabi isles. Relax and enjoy yourself by going on a vacation in Krabi today. 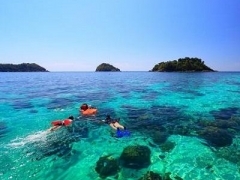 Alsom enjoy island hopping to 4 different islands and explore the beautiful beaches and clear blue waters! 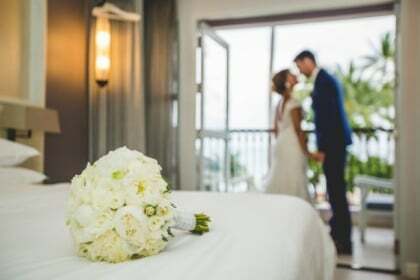 A resort hotel located in Ao Nang area surrounded by two acres of exquisitely designed garden, a unique swimming pool with several individual whirlpools, and poolside salas where you can indulge in a traditional Thai massage. The interior contemporary Thai style decor creates an enchanting atmosphere which blends into the natural surroundings of the resort. 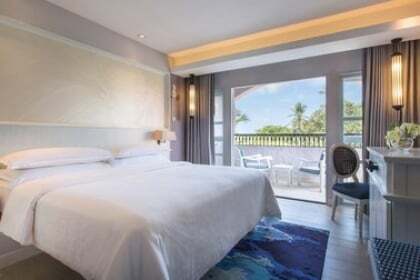 Enjoy the comfort, hospitality and convenience at Krabi La Playa Resort at reasonable rates. Krabi La Playa Resort is located only 150 meters from the beautiful sandy Ao Nang and Nopparat Thara beaches and within walking distance of the main shopping areas in Krabi.